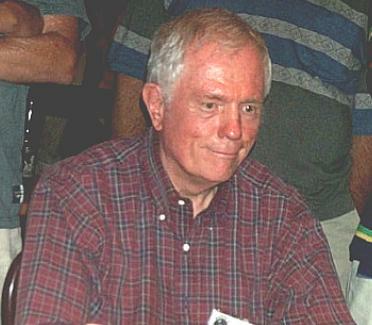 In 2001, BARGE was again at Binion's Horseshoe. 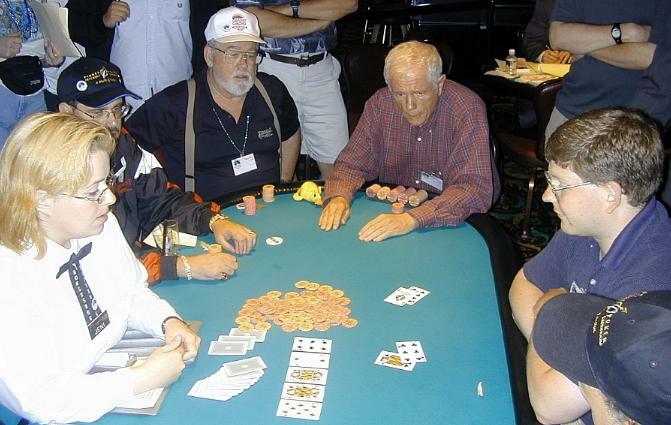 Events included the NL tournament, ToC-style tournament, and History of Poker tournament. 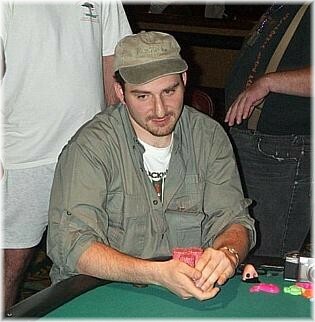 The banquet was held at the Golden Nugget, the speaker was Phil Hellmuth. 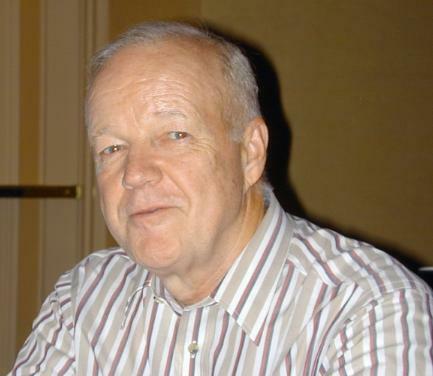 The NL winner was Russ Fox. 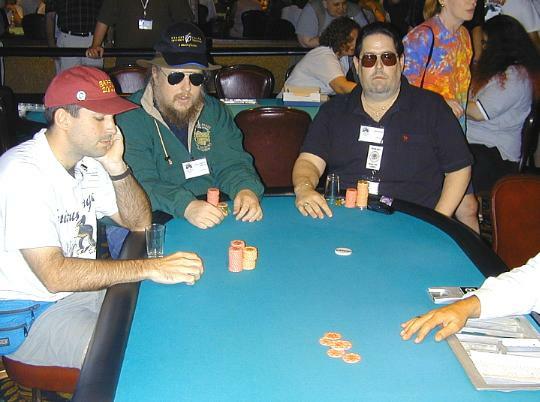 The BARGE Chip Committee was formed. 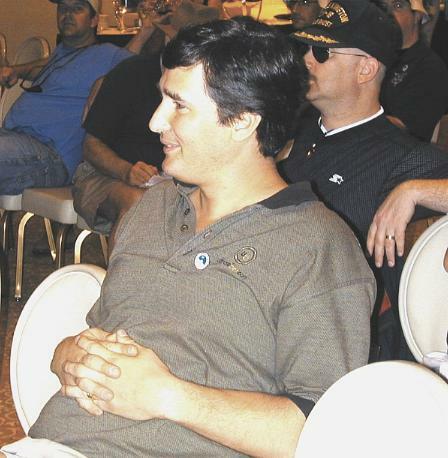 At that time, it appeared that the BARGE 2000 NLHE champion was unlikely to participate in the creation of BARGE chips, so a group of RGPers took the reigns and formed the BCC. 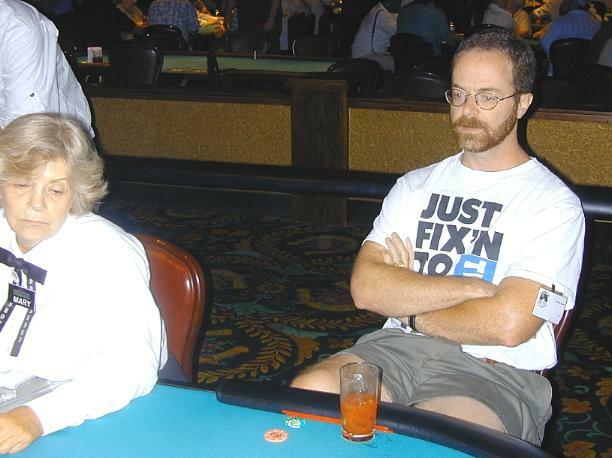 The mission in 2001 was to get the process back on track and to make sure that a set of BARGE chips is produced every year, with or without participation from the current NLHE champion. No VP or BJ, I think. Eventual organizer Michael Patterson's first BARGE. me any pictures taken at BARGE 2001 that you would like displayed here. Scott Harker (better known as "77 Boy") was kind enough to sign the last longer bet he lost last year! 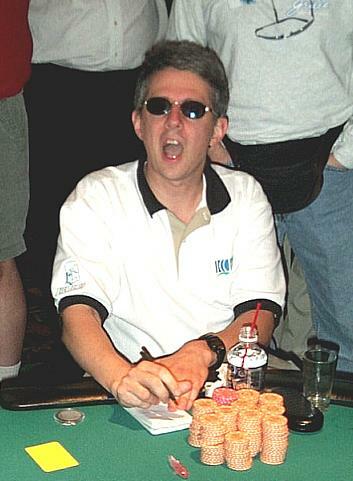 Frank Irwin with a "Chip & a Chair!" 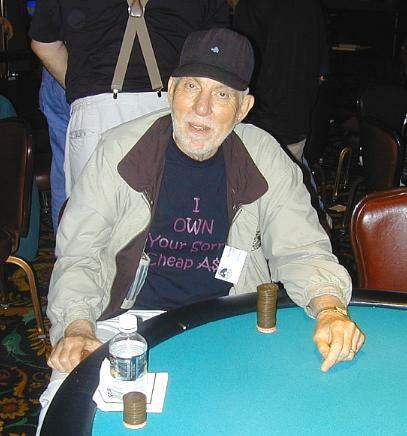 My friend Tom Sims who was nice enough to send me to the rail in the 13th spot of the TOC Tournament! Below are the results from BARGE 2001!